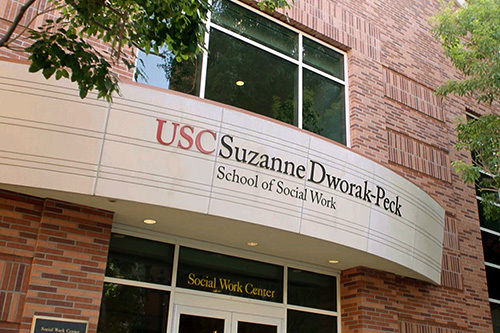 The USC Suzanne Dworak-Peck School of Social Work Hamovitch Center for Science in the Human Services advances science by guiding innovation in human services interventions. The mission of the Hamovitch Research Center is to support faculty engaged in basic and applied research focused on the needs, behaviors and problems of groups which are vulnerable in society because of their at-risk status, and to study the service delivery systems related to these populations. The center has a commitment to university-community collaboration. The center's activities are directed toward basic and applied research relevant to the improvement of human services to clients and to the dissemination of research findings. The center fosters and promotes interdisciplinary research across schools and departments within USC and across universities throughout the world. The center seeks to train the next generation of researchers in sophisticated methodologies that span quantitative and qualitative approaches to the phenomena we study.